This is made from Terry fabric and nylon. 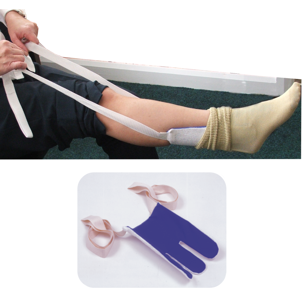 It bends round the heel and has two pull tapes to assist in pulling on socks or stockings. To assist in making dressing less of a challenge.